Go Wolverines! our best-selling model, the Bowflex max trainer M5 machine, is now better than ever. Save time with the breakthrough 14-minute max interval workout or choose from 9 other pre-programmed workouts for longer sessions. 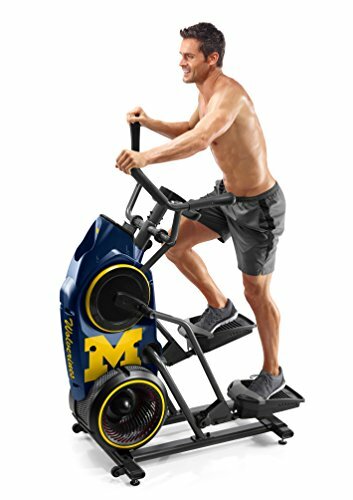 Either way, you'll get a great cardio workout with an ultra-smooth, low-impact motion, and burn up to 2.5x more calories. The M5 has: computer-controlled resistance, Bluetooth smart technology, premium grips, backlit display, target-zone monitoring and a compact design that fits almost any space! plus, download the free Bowflex max trainer 2 app to track total time, calories and more.